The Terms & Conditions shown are a sample. Actual Terms & Conditions vary by location. To receive a copy of the Terms & Conditions in your state please contact us at 1-866-681-3656. 3. Are in place and in proper working order on the effective date of this home warranty contract. This contract does not cover any known or unknown pre-existing conditions. It is understood that HWA IS NOT A SERVICE PROVIDER and is not itself undertaking to repair or replace any such systems or components. This contract covers single-family homes (including manufactured homes), new construction homes, condominiums, townhomes, and mobile homes under 5,000 square feet, unless an alternative dwelling type (i.e. above 5,000 square feet or multi-unit home) is applied, and appropriate fee is paid. Coverage is for occupied, owned or rented residential property, not commercial property or residences used as businesses, including, but not limited to, day care centers, fraternity/sorority houses, and nursing/care homes. This contract describes the basic coverage and options available. Coverage is subject to limitations and conditions specified in this contract. Please read your contract carefully. NOTE: This is not a contract of insurance, residential service, warranty, extended warranty, or implied warranty. Coverage starts 30 days after acceptance of application by HWA and receipt of applicable contract fees and continues for 365 days from that date. Your coverage may begin before 30 days if HWA receives proof of prior coverage, showing no lapse of coverage, through another carrier within 15 days of the order date. 1. You or your agent (including tenant) must notify HWA for work to be performed under this contract as soon as the problem is discovered. HWA will accept service calls 24 hours a day, 7 days a week, 365 days a year at 1-866-681-3656. Notice of any malfunction must be given to HWA prior to expiration of this contract. 2. Upon request for service, HWA will contact an authorized Service Provider within two (2) days during normal business hours and four (4) days on weekends and holidays. The authorized Service Provider will contact You to schedule a mutually convenient appointment during normal business hours. HWA will determine what repairs constitute an emergency and will make reasonable efforts to expedite emergency service. If you should request HWA to perform non-emergency service outside of normal business hours, you will be responsible for payment of additional fees and/or overtime charges. 3. HWA has the sole and absolute right to select the Service Provider to perform the service; and HWA will not reimburse for services performed without its prior approval. 4. You will pay a trade service call fee (“Service Fee”) per claim (amount shown on page one) or the actual cost, whichever is less. The Service Fee is for each visit by a HWA approved Service Provider, except as noted in this Section III (E), and is payable to the HWA approved Service Provider at the time of each visit. The service fee applies to each call dispatched and scheduled, including but not limited to those calls wherein coverage is included, excluded, or denied. The service fee also applies in the event You fail to be present at a scheduled time, or in the event You cancel a service call at the time a service contractor is in route to your home or at your home. Failure to pay the Service Fee will result in suspension or cancellation of coverage until such time as the proper Service Fee is paid. At that time, coverage may be reinstated; however, the contract period will not be extended. 5. If service work performed under this contract should fail, then HWA will make the necessary repairs without an additional trade service call fee for a period of 90 days on parts and 30 days on labor. The Coverage is for no more than one unit, system, or appliance, unless additional fees are paid. If no additional fees are paid, covered unit, system, or appliance is at the sole discretion of HWA; certain limitations of liability apply to Covered systems and appliances. EXCLUDED: Noise - Venting - Lint screens - Knobs and dials – Doors - Door seals – Hinges - Glass – Leveling and balancing - Damage to clothing. EXCLUDED: Noise - Plastic mini-tubs - Soap dispensers - Filter screens - Knobs and dials - Door seals – Hinges - Glass – Leveling and balancing -Damage to clothing. NOTE: Must be located in the kitchen. EXCLUDED: Racks - Shelves - Lighting and handles - Freon - Ice makers, ice crushers, beverage dispensers and their respective equipment - Water lines and valve to ice maker - Line restrictions – Leaks of any kind - Interior thermal shells - Freezers which are not an integral part of the refrigerator - Wine coolers or mini refrigerators – Food spoilage – Doors - Door seals and gaskets – Hinges – Glass - Audio/Visual equipment and internet connection components. NOTE: Not exceeding 5 (five) ton capacity and designed for residential use. EXCLUDED: Gas air conditioning systems - Condenser casings - Registers and Grills - Filters - Electronic air cleaners - Window units - Non-ducted wall units - Water towers - Humidifiers - Improperly sized units - Chillers - All exterior condensing, cooling and pump pads – Roof mounts, jacks, stands or supports - Condensate pumps – Commercial grade equipment - Cost for crane rentals - Air conditioning with mismatched condensing unit and evaporative coil per manufacturer specifications – Improper use of metering devices - Thermal expansion valves - Refrigerant conversion - Leak detections – Water leaks - Drain line stoppages – Maintenance - Noise. No more than two systems covered unless purchased separately at time of enrollment. HWA is not responsible for the costs associated with matching dimensions, brand or color made. HWA will not pay for any modifications necessitated by the repair of existing equipment or the installation of new equipment. NOTE: Main source of heat to home not to exceed 5 (five) ton capacity and designed for residential use. EXCLUDED: All components and parts relating to geothermal, water source heat pumps including: outside or underground piping, components for geothermal and/or water source heat pumps, redrilling of wells for geothermal and/or water source heat pumps, and well pump and well pump components for geothermal and/or water source heat pumps. Access - Radiators or valves - Baseboard casings - Radiant heating – Dampers – Valves - Fuel storage tanks - Portable units - Solar heating systems - Fireplaces and key valves – Filters – Line dryers and filters - Oil filters, nozzles, or strainers - Registers – Backflow preventers – Evaporator coil pan – Primary or secondary drain pans - Grills - Clocks - Timers – Add-ons for zoned systems - Heat lamps - Humidifiers - Flues and vents – Improperly sized heating systems – Mismatched systems - Chimneys – Pellet stoves - Cable heat (in ceiling) - Wood stoves (even if only source of heating) - Calcium build-up - Maintenance. NOTE: HWA will pay no more than $1,500 per covered item per contract term for access, diagnosis and repair or replacement of any glycol, hot water, or steam circulating heating systems. EXCLUDED: Access – Insulation blankets – Pressure reducing valve – Sediment build-up – Rust and corrosion - Main, Holding or storage tanks - Vents and flues - Thermal expansion tanks - Low boy and/or Squat water heaters - Solar water heaters - Solar components - Fuel, holding or storage tanks - Noise - Energy management systems - Commercial grade equipment and units exceeding 75 gallons - Drain pans and drain lines - Tankless water heaters. EXCLUDED: Fixtures - Carbon monoxide alarms, smoke detectors, detectors or related systems - Intercoms and door bell systems associated with intercoms - Inadequate wiring capacity - Solar power systems and panels - Solar Components - Energy Management Systems - Direct current (D.C.) wiring or components - Attic exhaust fans - Commercial grade equipment - Auxiliary or sub-panels – Broken and/or severed wires - Rerunning of new wiring for broken wires – Wire tracing - Garage door openers – Central vacuum systems - Damages due to power failure or surge – Circuit Overload. HWA will pay no more than $500 per contract term for access, diagnosis and repair and/or replacement. EXCLUDED: Stoppages and clogs in drain and sewer lines that cannot be cleared by cable or due to roots, collapsed, broken, or damaged lines outside the confines of the main foundation (even if within 100 feet of access point) – Access to drain or sewer lines from vent or removal of water closets - Cost to locate, access or install ground level clean out – Slab leaks - Polybutylene or Quest piping – Galvanized drain lines - Hose Bibs - Drum traps - Flange- Collapse of or damage to water, drain, gas, waste or vent lines caused by freezing, settlement and/or roots – Faucets, fixtures, cartridges, shower heads & shower arms - Baskets and strainers - Popup assemblies - Bathtubs and showers – Cracked porcelain - Glass - Shower enclosures and base pans – Roman tubs - Bath tub drain mechanisms - Sinks - Toilet lids and seats - Cabling or grouting - Whirlpool jets - Whirlpool control panel - Septic tanks - Sewage ejector pumps - Water softeners - Pressure regulators - Inadequate or excessive water pressure - Flow restrictions in fresh water lines caused by rust, corrosion or chemical deposits - Holding or storage tanks - Saunas and/or steam rooms. NOTE: HWA will provide access to plumbing systems through unobstructed walls, ceilings or floors, only, and will return the access opening to rough finish condition. HWA will pay no more than $500 per contract term for access, diagnosis and repair and/or replacement. HWA's authorized Service Provider will close the access opening and return it to rough finish condition, subject to the $500 limit indicated. HWA shall not be responsible for payment of the cost to remove and replace any built-in appliances, cabinets, floor coverings or other obstructions impeding access to walls, ceilings, and/or floors. EXCLUDED: Doors – Hinges – Handles – Doors - Door glass – Lights - Interior linings – Trays - Clocks - Shelves - Portable or counter top units – Arcing - Meat probe assemblies - Rotisseries. 10. OVEN/RANGE/STOVE/COOKTOP (Gas or Electric; Built-in, Portable or Free Standing). EXCLUDED: Clocks (unless they affect the cooking function of the unit) - Meat probe assemblies - Rotisseries - Racks - Handles - Knobs - Door seals – Doors – Hinges - Lighting and handles – Glass - Sensi-heat burners will only be replaced with standard burners. EXCLUDED: Racks - Baskets – Rollers – Hinges – Handles – Doors – Door gaskets – Glass - Damage caused by broken glass - Cleaning. EXCLUDED: Problems and/or jams caused by bones, glass, or foreign objects other than food. EXCLUDED: Fans - Blades - Belts - Shutters - Filters - Lighting. Note: Builder's standard is used when replacement is necessary. EXCLUDED: Registers and grills - Insulation - Asbestos-insulated ductwork – Vents, flues and breaching – Ductwork exposed to outside elements - Improperly sized ductwork - Separation due to settlement and/or lack of support - Damper motors - Diagnostic testing of, or locating leaks to ductwork, including but not limited to, as required by any federal, state or local law, ordinance or regulation, or when required due to the installation or replacement of system equipment. HWA will provide access to ductwork through unobstructed walls, ceilings or floors, only, and will return the access opening to rough finish condition. With respect to concrete covered, embedded, encased, or otherwise inaccessible ductwork, HWA will pay no more than $500 per contract term for access, diagnosis and repair or replacement. HWA's authorized Service Provider will close the access opening and return to a rough finish condition, subject to the $500 limit indicated. HWA shall not be responsible for payment of the cost to remove and replace any built-in appliances, cabinets, floor coverings or other obstructions impeding access to walls, ceilings, and/or floors. EXCLUDED: Garage doors - Hinges - Springs - Sensors - Chains – Travelers - Tracks - Rollers - Remote receiving and/or transmitting devices. EXCLUDED: All other contract limitations of liability and exclusions apply. NOTE: You may purchase any Optional Coverage for up to 30 days after commencement of Coverage. However, Coverage shall not commence until receipt of payment by HWA and such Coverage shall expire upon expiration of Coverage period in Section II. EXCLUDED: Portable or above ground pools/spas - Control panels and electronic boards - Lights - Liners – Maintenance - Structural defects - Solar equipment - Jets - Ornamental fountains, waterfalls and their pumping systems - Pool cover and related equipment - Fill line and fill valve - Built-in or detachable cleaning equipment such as, but not limited to, pool sweeps, pop up heads – Turbo valves, skimmers, chlorinators, and ionizers - Fuel storage tanks – Disposable filtration mediums – Cracked or corroded filter casings – Grids - Cartridges - Heat pump – Salt water systems. HWA will pay no more than $500 per contract term for access, diagnosis and repair and/or replacement. INCLUDED: Main line stoppages/clogs (one time only, and must have existing access or clean out). If a stoppage is due to a septic tank back up, then we will pump the septic tank one time during the term of the plan. Coverage can only become effective if a septic certification was completed within 90 days prior to close of sale. HWA reserves the right to request a copy of the certification prior to service dispatch. EXCLUDED: The cost of gaining or finding access to the septic tank and the cost of sewer hook ups - Disposal of waste - Chemical treatments – Tanks - Leach lines – Cess pools - Mechanical pumps/systems. Limited to a total of $200 maximum. EXCLUDED: Holding or storage tanks - Digging – Locating pump – Pump retrieval - Redrilling of wells - Well casings - Pressure tanks – Pressure switches and gauges – Check valve – Relief valve – Drop pipe - Piping or electrical lines leading to or connecting pressure tank and main dwelling including wiring from control box to the pump - Booster pumps - Well pump and well pump components for geothermal and/or water source heat pumps. HWA will pay no more than $500 per contract term for access, diagnosis and repair and/or replacement. EXCLUDED: Sewerage ejector pumps - Portable pumps – Backflow preventers – Check valves - Piping modifications for new installs. EXCLUDED: Ductwork – Hoses - Blockages – Accessories. INCLUDED: Repair of shake, shingle, and composition roof leaks over the occupied living area. EXCLUDED: Porches - Patios – Cracked and/or missing material - Foam roofs - Tar and gravel or metal roof - Cemwood shakes - Masonite shingles - Flat or built-up roof - Structural leaks adjacent to or caused by appendages of any kind – Downspouts Flashing – Gutters – Skylights – Decks - Patio covers - Solar equipment - Roof jacks – Antennae - Satellite components – Chimneys – Partial roof replacement - Preventative maintenance. NOTE: If roof must be partially or completely replaced to effect repair, this coverage does not apply. EXCLUDED: Ice-makers, crushers, dispensers and related equipment - Internal shell – Racks – Shelves - Glass displays – Lights - Knobs and caps – Dials – Doors - Door seals and gaskets - Door hinges - Door handles – Glass - Condensation pans – Clogged drains and clogged lines – Grates - Food spoilage - Freon - Disposal and recapture of Freon. EXCLUDED: Racks - Shelves - Lighting and handles - Freon - Ice makers, ice crushers, beverage dispensers and their respective equipment - Water lines and valve to ice maker - Line restrictions – Leaks of any kind - Interior thermal shells - Freezers which are not an integral part of the refrigerator – Food spoilage – Doors - Door seals and gaskets – Hinges - Glass – Audio/Visual equipment and internet connection components. INCLUDED: Sewage ejector pump - Jet pump - Aerobic pump - Septic tank and line from house. EXCLUDED: Leach lines - Field lines - Lateral lines - Tile fields and leach beds - Insufficient capacity - Clean out - Pumping. HWA will pay no more than $500 per contract term for access, diagnosis and repair and/or replacement. 1. The following are not included during the contract term; (i) malfunction or improper operation due to rust or corrosion of all systems and appliances, (ii) collapsed ductwork, (iii) known or unknown pre-existing conditions. 2. HWA is not responsible for providing access to or closing access from any covered item which is concrete-encased or otherwise obstructed or inaccessible. 3. At times it is necessary to open walls or ceilings to make repairs. The Service Provider obtained by HWA will close the opening, and return to a rough finish condition. HWA is not responsible for restoration of any wall coverings, floor coverings, plaster, cabinets, counter tops, tiling, paint, or the like. 4. HWA is not responsible for the repair of any cosmetic defects or performance of routine maintenance. 5. Electronic or computerized energy management or lighting and appliance management systems, solar systems and equipment are not included. 6. You may be charged an additional fee by the Service Provider to dispose of an old appliance, system or component, including, but not limited to the following items: condensing units, evaporator coils, compressors, capacitors, refrigerators, freezers, water heaters, and any system or appliance which contains dangerous or hazardous materials. 7. HWA is not liable for service involving hazardous or toxic materials including but not limited to mold, lead paint, or asbestos, nor costs or expenses associated with refrigerant recovery, recycling, reclaiming or disposal. HWA is not liable for any failure to obtain timely service due to conditions beyond its control, including, but not limited to, labor difficulties or delays in obtaining parts or equipment. 8. HWA is not liable for repair of conditions caused by chemical or sedimentary build up, rust or corrosion, mildew, mold, misuse or abuse, failure to clean or maintain as specified by the equipment manufacturer, missing parts, structural changes, fire, freezing, electrical failure or surge, water damage, lightening, mud, earthquake, soil movement, soil settlement, settling of home, storms, accidents, pest damage, acts of God, or failure due to excessive or inadequate water pressure. 9. HWA has the sole right to determine whether a covered system or appliance will be repaired or replaced. HWA is responsible for installing replacement equipment of similar features, capacity, and efficiency, but not for matching dimensions, brand or color. HWA is not responsible for upgrades, components, parts, or equipment required due to the incompatibility of the existing equipment with the replacement system or appliance or component or part thereof or with new type of chemical or material utilized to run the replacement equipment including, but not limited to, differences in technology, refrigerant requirements, or efficiency as mandated by federal, state, or local governments. If parts are no longer available, HWA will offer a cash payment in the amount of the average cost between parts and labor of the covered repair. HWA reserves the right to locate parts at any time. For the first 30 days of the contract period, HWA is not liable for replacement of entire systems or appliances due to obsolete, discontinued or unavailability of one or more integral parts. However, HWA will provide reimbursement for the costs of those parts determined by reasonable allowance for the fair value of like parts. HWA reserves the right to rebuild a part or component, or replace with a rebuilt part or component. 10. HWA is not liable for repairs related to costs of construction, carpentry or other incidental costs associated with alterations or modifications of appliances, components or installation of different equipment and/or systems. Except as required to maintain compatibility with equipment manufactured to be 13 SEER and/or 7.7 HSPF or higher compliant, HWA is not responsible for providing upgrades, components, parts or equipment required due to the incompatibility of the existing equipment with the replacement system, appliance or component/part, including but not limited to efficiency as mandated by federal, state or local governments. 11. HWA is not responsible for repairs related to inadequacy, lack of capacity, improper installation, mismatched systems, oversized systems, undersized systems, previous repair or design, manufacturer’s defect, and any modification to the system or appliance. 12. HWA is not liable for normal or routine maintenance. HWA will not pay for repairs or failures that result from the Contract holder’s failure to perform normal or routine maintenance. For example, you are responsible for providing maintenance and cleaning pursuant to manufacturers’ specifications, such as periodic cleaning of heating and air conditioning systems, evaporator coils and condenser coils, as well as periodic filter replacement. 13. HWA is not liable for the repair or replacement of commercial grade equipment, systems or appliances. HWA shall pay no more than $1,000 in aggregate for professional series or like appliances such as, but not limited to, brand names such as Sub Zero, Viking, Wolf, Bosch, Jenn-Air, GE Monogram, Thermador, and etc. 14. HWA reserves the right to obtain a second opinion at its expense. 15. HWA is not responsible for any repair, replacement, installation, or modification of any covered system or appliance arising from a manufacturer’s recall or defect of said covered items, nor any covered item while still under an existing manufacturer’s, distributor’s, or in-home warranty. 16. HWA reserves the right to offer cash back in lieu of repair or replacement in the amount of HWA’s actual cost (which at times may be less than retail) to repair or replace any covered system, component or appliance. 17. HWA is not responsible for the repair or replacement of any system or appliance or component or part thereof that has been previously, or is subsequently, determined to be defective by the Consumer Product Safety Commission or the manufacturer and for which either has issued, or issues, a warning or recall, or which is otherwise necessitated due to failure caused by the manufacturer’s improper design, use of improper materials, formula, manufacturing process or other manufacturing defect. 18. HWA will not pay for the repairs or replacement of any covered systems or appliances if they are inoperable as a result of known or unknown pre-existing conditions, deficiencies and/or defects. 19. You agree that HWA is not liable for the negligence or other conduct of the Service Provider, nor is HWA an insurer of Service Provider’s performance. You also agree that HWA is not liable for consequential, incidental, indirect, secondary, or punitive damages. You expressly waive the right to all such damages. Your sole remedy under this agreement is recovery of the cost of the required repair or replacement, whichever is less. You agree that, in no event, will HWA’s liability exceed $1500 per contract item for access, diagnosis and repair or replacement. In the event of a dispute over claims or coverage you agree to file a written claim with Home Warranty Administrators and allow HWA thirty (30) calendar days to respond to the claim. The parties agree to mediate in good faith before resorting to mandatory arbitration in the State of New Jersey. 1. Any and all disputes, claims and causes of action arising out of or connected with this Agreement shall be resolved individually, without resort to any form of class action, and exclusively by the American Arbitration Association in the state of New Jersey under its Commercial Mediation Rules. Controversies or claims shall be submitted to arbitration regardless of the theory under which they arise, including without limitation contract, tort, common law, statutory, or regulatory duties or liability. 2. Any and all claims, judgments and awards shall be limited to actual out-of-pocket costs incurred to a maximum of $1500 per claim, but in no event attorneys' fees. 3. Under no circumstances will you be permitted to obtain awards for, and you hereby waive all rights to claim, indirect, punitive, incidental and consequential damages and any other damages, other than for actual out-of-pocket expenses, and any and all rights to have damages multiplied or otherwise increased. All issues and questions concerning the construction, validity, interpretation and enforceability of this Agreement, shall be governed by, and construed in accordance with, the laws of the State of New Jersey, U.S.A. without giving effect to any choice of law or conflict of law rules (whether of the State of New Jersey or any other jurisdiction), which would cause the application of the laws of any jurisdiction other than the State of New Jersey. If any provision of this Agreement is found to be contrary to law by a court of competent jurisdiction, such provision shall be of no force or effect; but the remainder of this Agreement shall continue in full force and effect. 1. HWA will not contract for services to meet current building or zoning code requirements or to correct for code violations, nor will it contract for services when permits cannot be obtained. HWA will not pay for the cost to obtain permits. 2. Except as required to maintain compatibility with equipment manufactured to be 13 SEER and/or 7.7 HSPF or higher compliant, HWA is not responsible for upgrade or additional costs or expenses that may be required to meet current building or zoning code requirements or correct for code violations. This includes city, county, state, federal and utility regulations and upgrades required by law. 1. If the contract is for duplex, triplex, or fourplex dwelling, then every unit with in such dwelling must be covered by a HWA contract with applicable optional coverage for coverage to apply to common systems and appliances. 2. If this contract is for a unit within a multiple unit of 5 or more, then only items contained within the confines of each individual unit are covered. Common systems and appliances are excluded. 3. Except as otherwise provided in this section, common systems and appliances are excluded. 1. If your covered property is sold during the term of this contract You must notify HWA of the change in ownership and submit the name of the new owner by phoning 1-866-681-3656 in order to transfer coverage to the new owner. 2. You may transfer this contract at any time. There is no fee to transfer contract. 3. This contract may be renewed at the option of HWA and where permitted by state law. In that event You will be notified of the prevailing rate and terms for renewal. 4. If You select the monthly payment option and HWA elects to renew your contract, HWA will notify You of applicable rate and terms of renewal during the tenth month of your contract. You will automatically be renewed for a monthly coverage period unless You notify HWA in writing 30 days prior to the expiration of the contract. 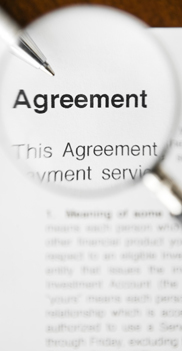 Your first payment for the next contract term will be construed as authorization for month-to-month charges. This is a maintenance agreement for repair, replacement, or partial replacement of the products listed that are deemed manufactured or sold by the manufacturer. This is not a contract of insurance, residential service, warranty, extended warranty, or implied warranty. You may cancel within the first 30 days of the order date for a refund of the paid contract fees, less a $50 administrative fee and any service costs incurred by HWA. 4. Mutual agreement of HWA and You. If canceled after 30 days, You shall be entitled to a pro rata refund of the paid contract fee for the unexpired term, less a $50 administrative fee and any service costs incurred by HWA. All cancellation requests must be submitted in writing.